Among the greatest disappointments with the presidency of Barack Obama – there are so many – none are greater than the last, his failure to grant clemency to or pardon the United States’ most famous political prisoner, Leonard Peltier. 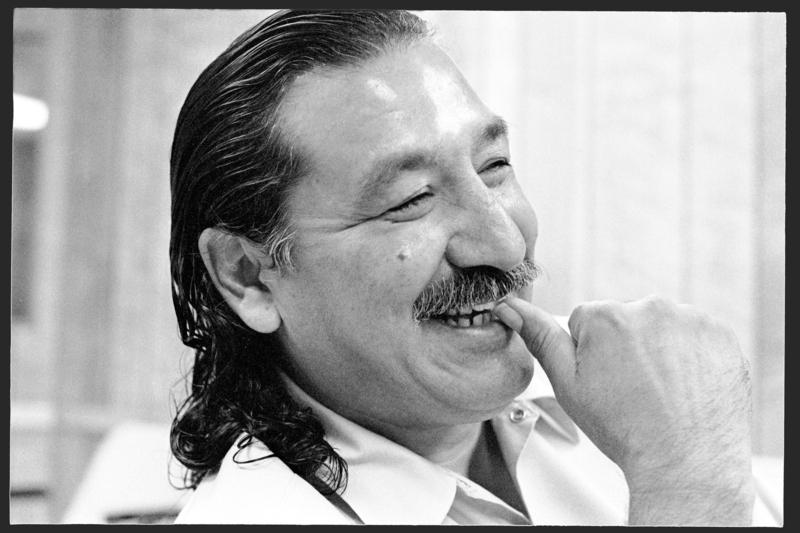 Peltier turns 73 today, September 12, the 15,194th day of his incarceration. Here’s the latest message from Leonard below, as he recovers from triple bypass heart surgery. For much more information, to support his defense team and efforts to free him from prison, visit the International Leonard Peltier Defense Committee. Slept in a little this a.m., my cells had the ac/air going so it wasn’t only a little chilled but under the blankets it felt nice and warm and sort of cozy so I just laid there, thinking about life home and just freedom an all. I wish I could spend some time with my Great and grandchildren even some of my now middle-aged children, who believe they are the victims in this whole life. They even believe they should be given all of the attention. I keep trying to get them to understand you have to earn leadership, read a law book, some legal articles, something that can help you gain more intelligence but I get criticized for it, so I suggest videos about our history the U.S. history, world history and then you can become a good leader! Well This triple by pass operation was totally unexpected! I have had these other medical problems for over a couple of years now: Prostate and Hip problems. But this Triple By Pass, Wow! and believe me it wasn’t a very pleasant operation at all. I guess it never is when your whole chest has been open. O.K. so now I’m in the recovery period. I’m now in a Handicap cell, the largest cell I have been in since I was in prison. I can NO longer touch one wall with one fingertip to the other wall. But this large cell might be over sooner than I thought. I just heard I’M being transferred to another cell block (A) which they are going to make into an Elderly Block! BUT now I need to work on getting well as the post-surgery period is the most serious healing period as you all know. Paulette and ILPDC will relocate the ILPDC closer to me and since no one even knew I was in the hospital until after I got out and was back in my assigned cell. I think it will be a good idea in many areas not only protection for me but to rebuild the ILPDC. And friends we will need some financial help to do this work. I don’t have Any Personal funds, So I have to depend on you, the grass roots activist for help. Every little bit adds up so donations are needed, unless you can’t afford it (of course:) don’t need to be large just many. Framed Prints and original art work in your homes would be great talking subjects Just an idea, but purchase them from Kari Ann, the only ILPDC Art Director! O.K. I will try to keep you as updated as much as possible. Thanks to all of you brothers and Sisters, for all your help and concern over all of these yrs. I do Love you all.